Next ›Talking good! Kettling bad! No question Peter,that is the main thrust now of “thinking” in England with regard to North Britain. 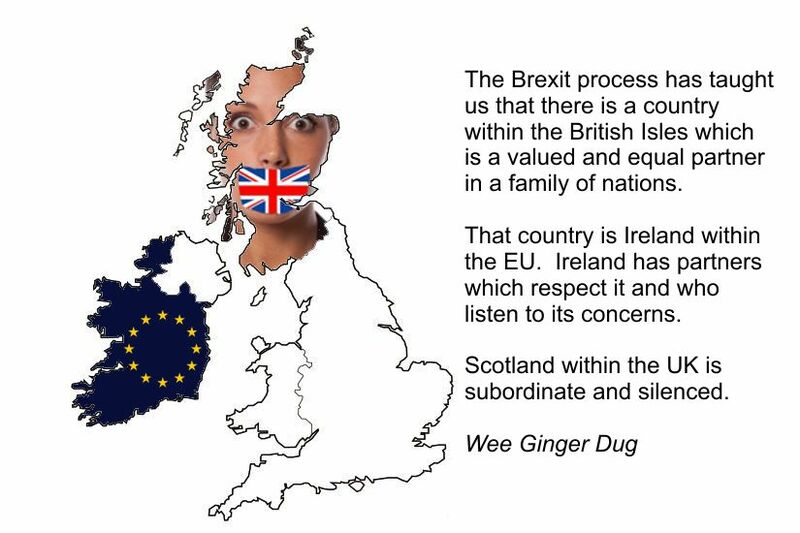 As far as they are concerned we had our “Once in a lifetime” independence referendum,never to be repeated if they have their way,and that we ceased to exist as a polity after that event. Since the purpose of unionism in Scotland is solely to oppose independence and ensure that North Britain doesn’t deviate in any significant manner from England,we can now expect the Willie Rennies of that cabal to shut up about returning control of the police to local authorities. Or perhaps they will start demanding that Police Scotland be rebranded UK Police or something of that ilk. As with their friends in the DUP,they are “anything but Irish/Scottish”. The BBC’s news website does this all the time. I wouldn’t worry too much about Police Scotland, they’ll soon be in the capable hands of David Mundell. The campaign of Scotland’s erasure is in full force…and has been since 2014. When Scotland did not go back in their box after Indyref…Westminster has planned to shut the gate and now aims to consume Scotland whole. I am amazed that the SNP has waited so long. It is as if they are not confident on fighting Westminster on their case – that Westminster and their Brexit process revealed in full. It is this that sinks my heart for chances of Indy…waiting as a small target gives Westminster the upper hand.